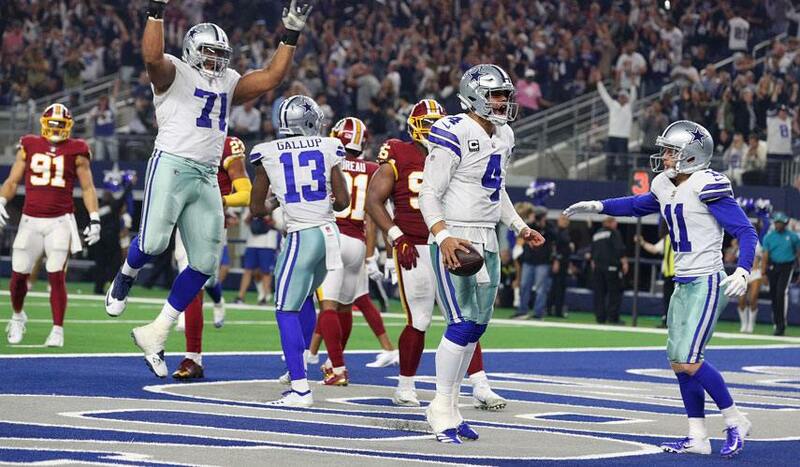 It's been a season of ups and downs that saw the 2018 Dallas Cowboys start the season by alternating wins and losses through the first six games before dropping to 3-5 after the eight game mark. Now having won three in a row and leading the NFC East, I think we can all rest assured that these Dallas Cowboys. Over the last three weeks, the Dallas Cowboys have answered questions that hadn't previously been answered. Prior to the three game winning streak, they hadn't won a game on the road. Well, now they've done that twice. They hadn't played a really good offense. Well they outscored the defending Super Bowl Champion Philadelphia Eagles and the Super Bowl 51 runner-up Atlanta Falcons on the road. In 2017, the Cowboys weren't able to overcome the injuries and suspensions to their star players Sean Lee, Tyron Smith, David Irving, and Ezekiel Elliott. Well in 2018, they've weathered the storm and played really good without Tyron Smith, David Irving, Sean Lee, and several other key contributors. The time has come for us to believe in the Dallas Cowboys again. I know that's difficult to do as the Cowboys have let us down so many times over the last couple of decades, but for the 2018 Cowboys, things are trending in the right direction and they are playing their best football of the year at the most important time of the year. 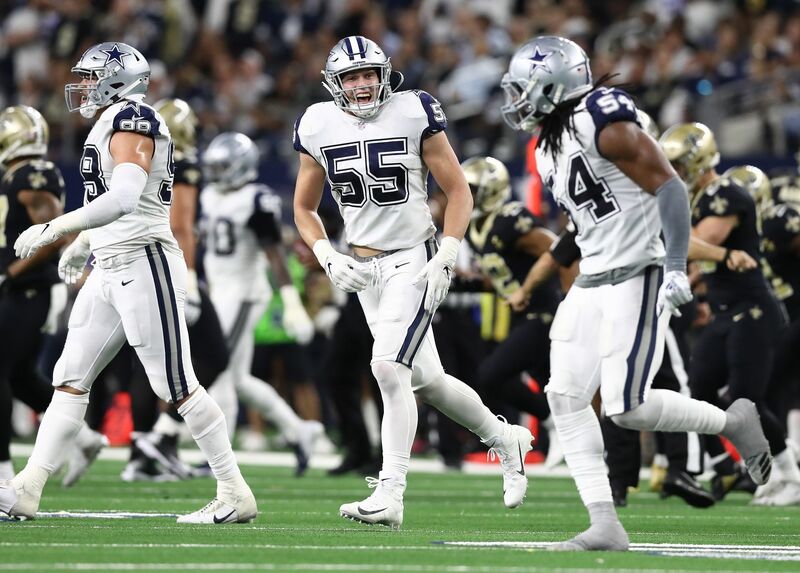 Even with a formidable game coming this Thursday night against the 10-1 New Orleans Saints, the Dallas Cowboys give us reason to believe that they could actually come away with a win this week to extend the streak to four. Just a few games ago, I don't think anyone would have thought a W was possible this Thursday. But that's where we are now and for good reason. The Dallas Cowboys offense is starting to look dangerous on the ground and through the air. Over the last three games, Quarterback Dak Prescott has averaged 255.7 yards per game, completed 70.1% of his passes, is averaging 7.75 yards per attempt and 8.35 air yards per attempt. He's thrown three touchdowns and ran for three touchdowns while not turning the ball over; basically two touchdowns per game. Prescott's quarterback rating over the three game winning streak was 100.3. Dak's been sacked 3.3 times per game. That includes being sacked four times in the first half against the Washington Redskins, but not being sacked at all in the second half. All of this occurring while Connor Williams sat out and against the Washington Redskins without Tyron Smith. 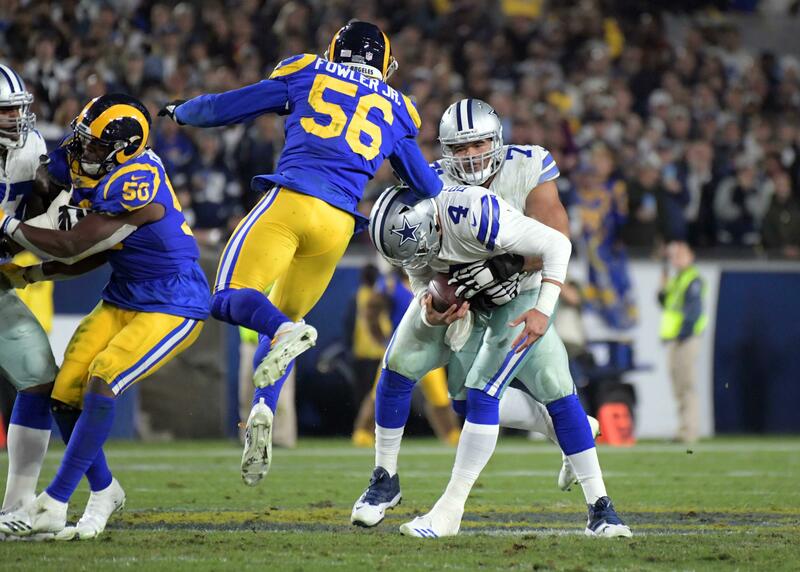 Over the first eight games of the season, prior to the three game winning streak, Prescott averaged 207.5 passing yards per game, threw 10 touchdowns and five interceptions, averaged seven yards per attempt and only 6.90 air yards per attempt. During the 3-5 start, Prescott averaged 1.5 total touchdowns per game. His passer rating was 88.9. There are several things to factor into to the improved play of the offense, but the two biggest reasons are the two big moves they made over the bye week. First, trading for WR Amari Cooper. Then removing Paul Alexander as offensive line coach and replacing him with Marc Colombo. It’s hard to quantify just how much of an impact Cooper and Colombo have made on the Cowboys since the bye week, but there’s certainly a difference in both the way they run the ball and throw the ball. Not only has Dak Prescott seen a midseason resurgence to his play, but Ezekiel Elliott and the running game have as well. Elliott has run for 120 yards or more with a touchdown in three straight games. It's the second time in his career that he's had such a stretch. This while playing against two really good defensive fronts in the Philadelphia Eagles and the Washington Redskins. The Redskins held Elliott to 33 yards on 15 carries in the week seven loss in Washington. The Amari Cooper trade has added an element to the offense that's been missing this season. 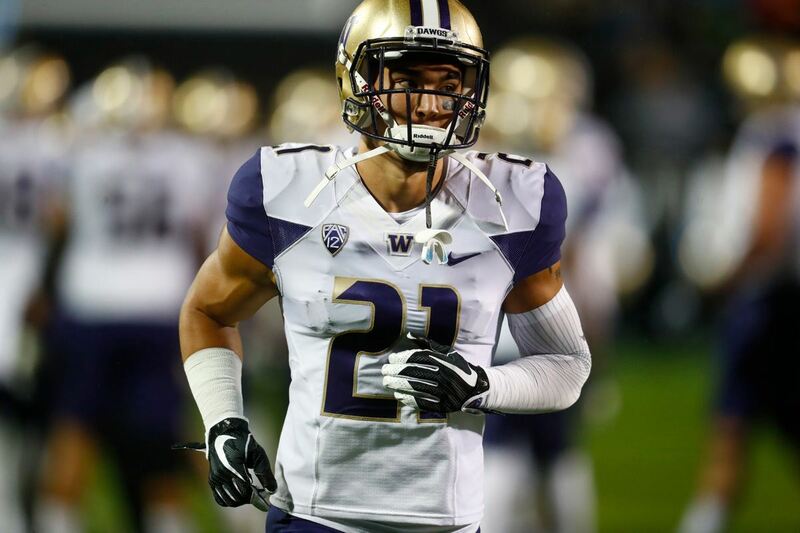 Someone who can create separation with his excellent route running ability, but also has the speed to break away from defenders after the catch. As we all saw on Thursday. You can tell when watching that Prescott has a high level of comfort with Cooper and is willing to throw the ball his way often. In fact, since coming over from the Oakland Raiders prior to the Tennessee Titans game, Cooper has led the Cowboys in targets in three out of the four games he's been with the team. He helps everyone on the offense. In only four games, Cooper's already second on the team in receiving yards and first on the Cowboys in receiving touchdowns. He gets open, which helps Dak, which in turn helps the offensive line. He requires attention from the secondary, which is going to help the rest of the wide receivers in their routes, as well as Elliott. Like we saw on Thursday, he's a threat to score from anywhere on the field. When a team can get one or two big plays a game like that, it provides a huge boost to the entire football team. The offense's improvement over the last three games shouldn't overshadow what the defense has done. They continue to play really good as a unit. They've held the Philadelphia Eagles, the Atlanta Falcons, and the Washington Redskins to an average of 20.67 points per game. The Atlanta Falcons were held to one touchdown at home, where they had averaged 30+ points on the road coming into the game. The Dallas Cowboys defense, who has been pretty good at putting pressure on the passer and against the run, is starting to create turnovers. They've created a turnover in four straight games, and forced Colt McCoy into three interceptions on Thursday. The Cowboys would have had another interception in the Atlanta game if not for Julio Jones ball-separating hit on Jeff Heath. If the Dallas defense can continue to force turnovers in each game, it's going to make things a lot easier for the offense. The Cowboys are still in the bottom half of the league in turnovers, but are trending in the right direction with seven in the last four weeks. Against, Tennessee, they were unable to capitalize on the turnovers, but that shouldn't be as much of a problem moving forward. It's easy to look at the quality of opponent the Cowboys have played over the last three weeks and discount the three game winning streak, but each of those teams is still in the thick of the wild card race. The Cowboys were under pressure in must-win games and came away with big wins. No matter what happens on Thursday night against the New Orleans Saints, this team is still one to put our confidence in. They're playing really good football now and I don't see that changing for the rest of the 2018 season. Whether they win this week or not, and I think there’s a good chance they do pull off the upset, this team is on a trajectory to win the NFC East. This is a dangerous team and one to believe in.